Although some states prohibit DUI checkpoints on constitutional or statutory grounds, the State of Ohio permits them. Certain guidelines are followed though. Those guidelines were established by the United States Supreme Court in 1990. 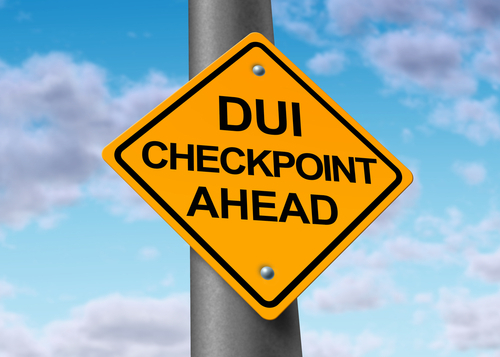 According to the Ohio DUI defense attorneys at Barr, Jones & Associates, the location of the checkpoint must have must have an established history of alcohol-related accidents or DUI arrests. A specific plan is also required involving what vehicles will be stopped. For example, stopping every third or fourth vehicle would be in compliance. DUI checkpoints must also be announced by the local law enforcement agency at least a week ahead of time. Notice should designate the date, starting and ending times and location of the checkpoint. If you see a DUI checkpoint ahead, the last thing that you want to do is to turn around to avoid it. Pursuit cars will be stationed at the checkpoint. If you are indeed detained at a DUI checkpoint, law enforcement offices will be looking for signs of impairment. The odor of an alcoholic beverage, slurred speech or bloodshot eyes might be indicators of impairment. If the detaining officer notices any of these indicators, the driver will be sent to a separate area for alcohol or drug screening. Should you be taken into custody at a DUI checkpoint in or around Cleveland, you will want the best defense possible from a top Cleveland OH criminal defense attorney. You can contact us for a consultation and case review. We promise to listen to you carefully about what happened. Your questions will be answered too. After that, you will be advised of all of your legal options. Ohio takes drunk driving seriously. We might be able to avoid the impact of a conviction. Contact a DUI lawyer in Cleveland Ohio at Barr, Jones & Associates after any DUI arrest.